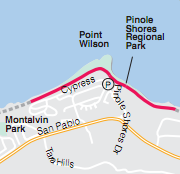 The Pinole Shores Park trail (shown as a red line on the map) was an asphalt-paved trail that branched out into two different directions (roughly northeast and southwest) from the parking lot -- located at the end of Pinole Shores Drive. There are also several signs in the parking lot, making it easier to find the starting points for the two trails. 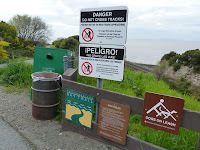 I walked south first, and turned around when the paved portion of the trail ended. Only a small dirt path remained and it looked like it was headed toward someone's yard/private property. It looks like there is a dotted line on the map; the trail may continue in the future. But, it's not clear when or if this might happen. I then returned and walked the northern arm of the trail. Both north and south sections offered bay views. Train tracks separated walkers from Bay itself. (Two trains rumbled by during my walk.) 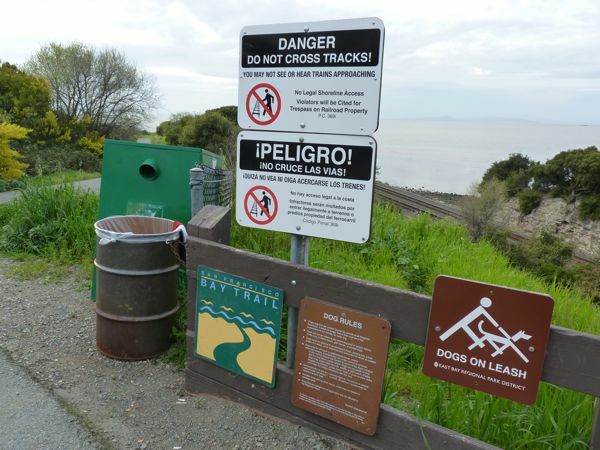 And the trail(s) were fenced off from the railroad tracks -- increasing safety, but also blocking access to the Bay. 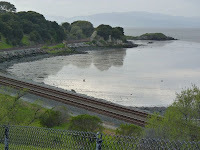 There were several areas where chain link fence had been repaired, indicating people are trying crossing the tracks to get out to the rocky points. There are plenty of benches along the way to stop and rest, for those so inclined. 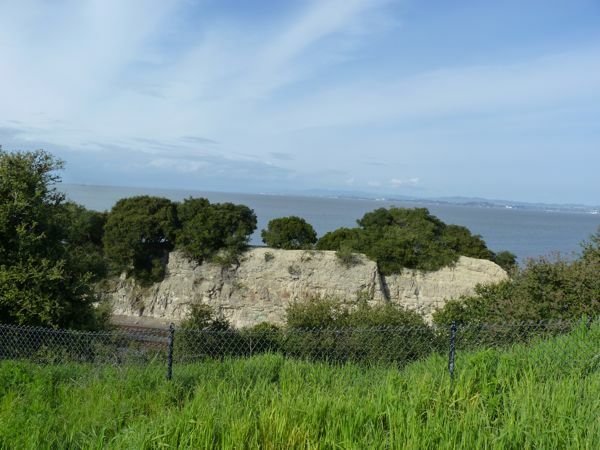 The sweeping views of the Bay were nice. And there were lots of birds to see and hear on this walk. 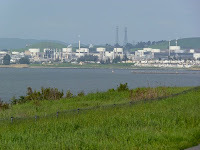 Industry is visible on the eastern part of the trail, but it's far away in the distance. 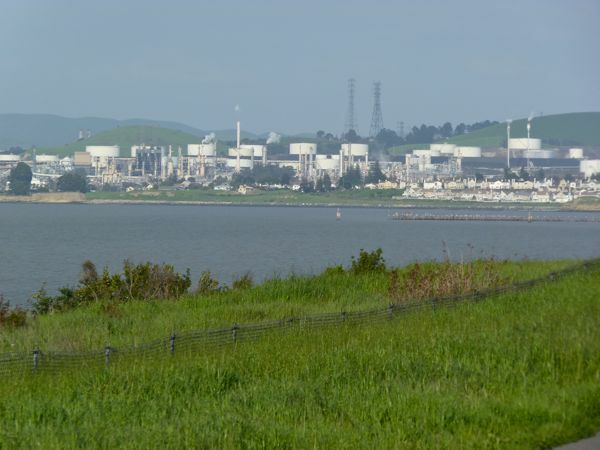 Today was partly overcast, but Mount Tamalpais was visible across the Bay. 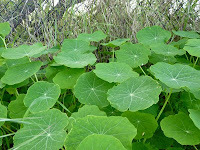 Also grasses and vegetation were still lush and green. Generous amounts of rain in the northern half of the San Francisco Bay this winter may help prolong our green season. New leaves were unfurling everywhere -- on trees, ivy, and flowering plants.